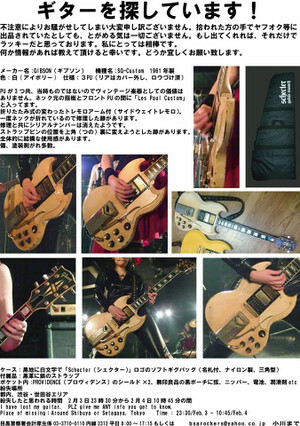 I’m looking for my guitar. Anyone who has any info about this guitar, please give me to a message! 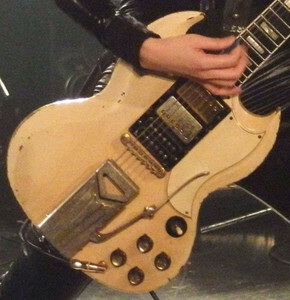 The guitar is GIBSON's white SG- Custom of 1961 model. You can see how it looks on my photo. Especially, musicians who play in Tokyo, please help me.